With a $50.00 order, you can add the wonderful November Stamp of the Month - Illuminate - to your order for only $5.00!! Earn additional income by working with customers, hosting workshops and home gatherings, harnessing online shopping and more. Whether you want just a little extra spending money or enough to pay your bills, the sky is the limit. The Studio J bug has bitten you and you love the ease of creating layouts, the instant gratification and outstanding quality. Start taking advantage of the 22%+ Consultant discount! You and your friends love Close To My Heart. Get the group together once a month to create one of CTMH's Workshop on the Go and receive a 22%+ discount on your purchases. You are a Close To My Heart enthusiast and submit an average of $300 by yourself (or with a group of your friend) in orders per quarter. It's time for you to start earning a minimum of 22%+ discount on all your purchases. You like CTMH's products and can't resist an amazing deal - all that comes in the kit for such a low price. You might order a few things a year at a 10% discount, would love access to our exceptional Bulletin Board full of art inspiration or would like to attend one of Close To My Heart's exclusive Consultants only events. Everyone signs up as a full Consultant and if after one full quarter, you do not have $300 in retail sales, you will become a Junior Consultant. Anytime you submit $300 in sales in any given quarter, you'll even bump back up to full status and start receiving a 22%+ discount! November Campaign: New Consultant Promotion! Each NEW Consultant who enrolls with either the "Essentials" or "Master" New Consultant Kit may also receive a fun, brand-new product from the Spring/Summer 2014 Idea Book. To be eligible for the free product, the new Consultant must have $300 in sales by March 31, 2014. What's the new product? It's the gorgeous new Picture My Life™ scrapbooking program. There are 8 fresh and stunning design themes to choose from, each one featuring 122 double-sided, designed cards in a mix of 3" x 4" and 4" x 6", plus a 12"x12" cover page to bring your album together beautifully. You also get 10 Memory Protectors™ with new formats designed just for this program and lots of your photos. It's a retail value of $24.95 but it’s FREE to qualifying new Consultants! 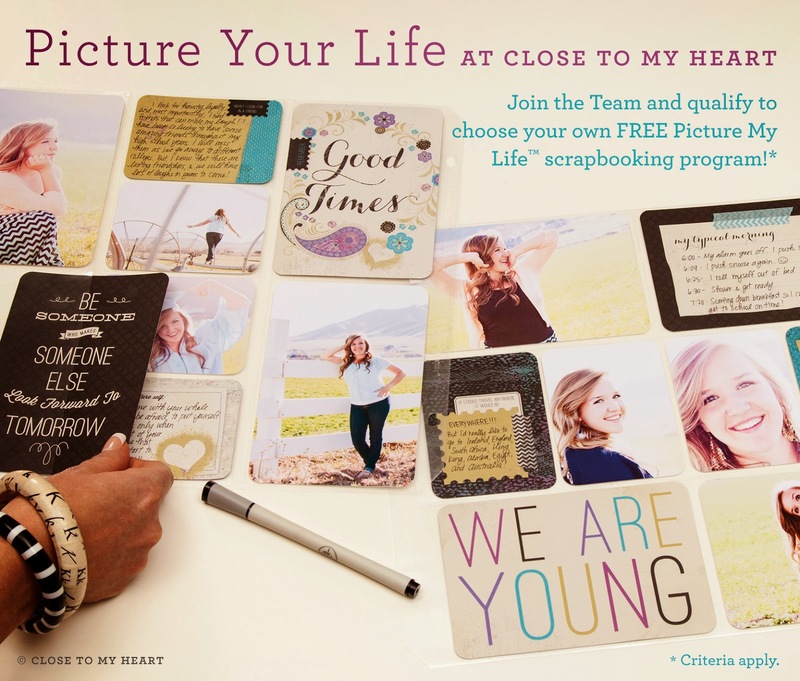 You can start earning the "Picture My Life" program FREE right now when you sign up. When you, as a new Consultant, order the Essentials Kit and qualify for the offer, you will not only receive more than $180 in products and supplies, plus commission on your sales, (all for only $49) you will also add to that the perks of Straight To The Top, and a new Idea Book that will be coming out in January that will be loaded with great new products to introduce to your customers!